A number of factors influence residential home sales, both in a positive and negative manner. This week, I’ll take a look at some of these key factors. While the overall influence is consumer confidence, the first factor to affect this measure is unemployment. As well-reported, both locally and nationally, the unemployment rate is low in comparison to 30-year averages. Additional reports say employers are experiencing a shortage of skilled workers in specific job categories. So, it can be assumed this area is applying positive pressure on consumer confidence. The second item to consider is interest rates and availability of money to borrow. While much has been reported about the FED raising the short-term rate that banks use, it has had little effect on 30-year fixed mortgages. Do a quick review of the mortgage industry and you’ll find a variety of loan types with interest rates falling in the low 4 percent range. Again, comparing these rates to the 30-year average and the credit scores required to achieve these attractive rates, one can discern that this is a positive influence on consumer confidence and the residential real estate market. Another category to consider is the perceived health of the economy and the stock market. If you examine the S&P 500 over the last 16 months, you’ll see a consistent increase in values since February 2016 and a marked improvement since the presidential elections. Wealth has been accumulated and those who are invested in this area find themselves in a better position than 12 months ago. Home prices are the fourth area to affect the residential real estate market and related consumer confidence. The Greater Chattanooga region experienced a 9.9 percent increase in the average home price in 2016 and has continued this trend with an 11.4 percent increase so far in 2017. These consistent increases in the average price of a home are in sharp contrast to wage growth in the region. At some future, affordability will become a concern and a drag on consumer confidence and place pressure on home sales. When you survey these factors, the overall impression seems positive for our region. 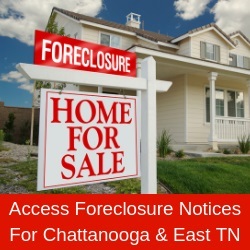 However, with the rapidly changing real estate like we are experiencing today, you need an experienced member of the Greater Chattanooga Association of Realtors to guide you through the selling and buying process. The Greater Chattanooga Association of REALTORS is The Voice of Real Estate in Greater Chattanooga. The Association is a regional organization with more than 1,700 members and is one of more than 1,400 local boards and associations of Realtors nationwide that comprise the National Association of Realtors. GCAR services Hamilton and Sequatchie counties in southeast Tennessee and Catoosa, Dade and Walker counties in northwest Georgia. Visit www.GCAR.net for more information.